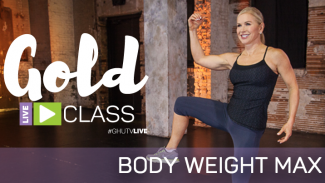 Join us for this Get Healthy U TV live workout, Medicine Ball Circuits! 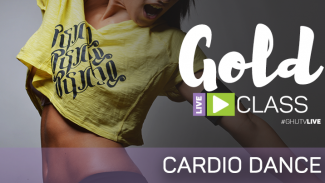 This workout is exclusive to those with GOLD membership. 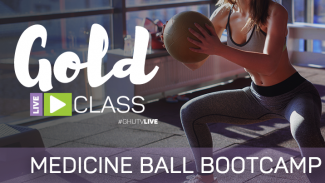 We will be squatting, lunging, slamming and tossing the med ball, so get ready to have some fun. 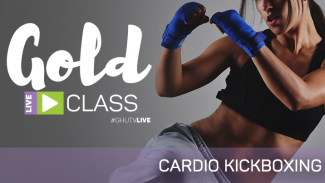 All levels welcome – as usual we will give modifications to help everyone be successful. We recommend a 4 lb. medicine ball for beginners and a 6 or 8 lb. medicine ball for experienced users. You can use a 10 lb. if you slow it down a little! If you don’t have a medicine ball, you can use a basketball, playground ball, or a single dumbbell.